What is the first thing that comes to your mind when I say, “business strategy”? Well, it can take up some steps that later on can do a great deal in the revenue. Making campaigns and advertisements to draw people and invoke interest in the products is a business tactic used by owners. Marketing is fundamental to publicize a brand, it also depends on the amount of investment one does to reach the desirable end. Advertisement is that one good essential to promote one’s merchandises, products and company. It is majorly invested upon in the corporate world, and therefore businessmen do not compromise on the quality and excellence that can be obtained through the process of advertisements. They are massively being played on radio or television; designers are given special instructions to make sharper and blinking advertisements that could attract an eye (for the display on media). They are made impactful and meaningful so whosoever watches them gets impressed. Advertisement can be taken to some different levels, for example print media and electronic media are the best resources to give good revenues and a good amount of viewership, they also help in good selling of the product or merely to draw people towards the leading brand. Advertisements should be ‘impression building’ so later good results can be obtained. Then comes outdoor advertisement campaigns, buses are used massively to move around in every nook and corner of the road so the people passing by can glare at the imprinted advertisement of some product (beverage/eatable etc.) on the bus. 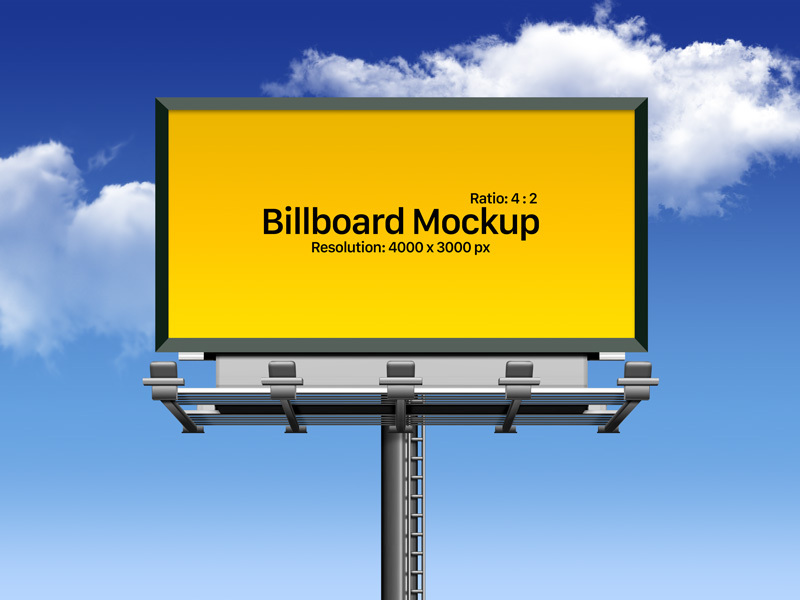 Here I lately designed a free outdoor advertising billboard mockup that can be used either for personal or commercial projects. Buildings, roadside advertisements and ads depicted on billboards are always helpful to make things work in a better way. Have a look at it, insert in the elements as demand by your client and there is all done for the presentation. For amazing design and tech feed, stay tuned to us, subscribe us for more interesting tech/design collection. We love to accommodate you all.